Aging is a unique experience for everyone. While some have perfect hearing throughout their golden years, others have difficulty deciphering certain sounds. Meanwhile, some seniors lose their hearing altogether. Fortunately, there is often a solution. Hearing aids and personal sound amplifiers can help improve quality of life for those who no longer hear as well as they would like. We also have information on the best over-the-counter hearing aids that will help with your hearing loss as you age. Which is right for you depends on your hearing goals. Before deciding the best hearing aids for elderly folks, be sure you speak with a licensed audiologist. How Does a Personal Sound Amplifier Work? 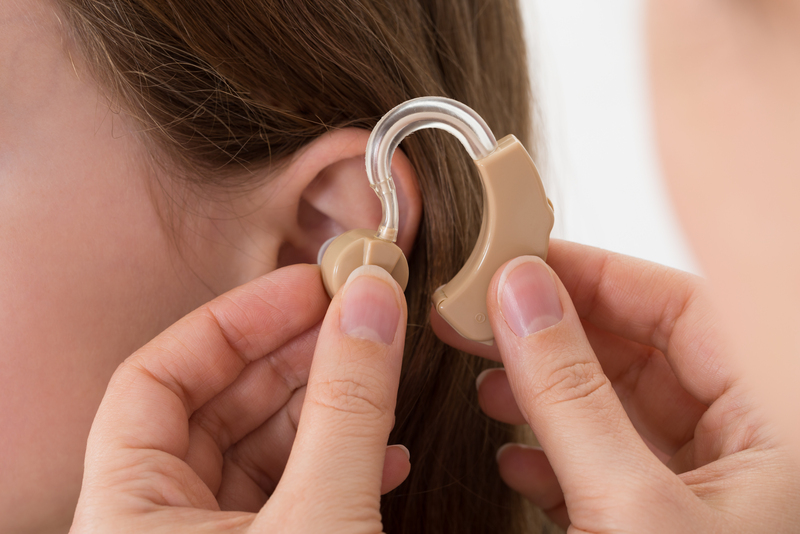 When Should You Consider Purchasing a Hearing Aid? Do Home Hearing Tests Work? How Do Hearing Aids Differ From Personal Sound Amplifiers? How Should You Clean a Hearing Aid? If you worry about your hearing abilities or care for someone who is experiencing hearing loss, a hearing aid sound amplifier may be the perfect option. As the name suggests, personal sound amplifiers are devices inserted into the ear that help amplify sound. They are not, however, the same as hearing aids. Instead, these auditory tools often make deciphering sounds in noisy environments easier for those experiencing mild forms of hearing loss. They also benefit individuals with normal hearing capabilities who wish to hear faraway sounds better. Unlike hearing aids, many personal sound amplifiers feature a universal fit, making them ideal for those who would rather not sit through a hearing aid fitting or calibration. Rather, out-of-the-box amplifiers generally fit over the ear or sit just inside the ear canal. They also are generally less expensive than hearing aids. Still, even though personal sound amplifiers are useful for magnifying certain tones, they are not intended for use in treatment. While the Food and Drug Administration approves hearing aids for treating hearing loss, they have not provided sound amplifiers with the same imprimatur. A personal sound-amplification device works by making subtle sounds louder. While these devices have been around for years, modern technology has made them cheaper and more effective. Essentially, the amplifier uses electrical impulses to magnify certain sounds. In its consumer guidance, the Food and Drug Administration notes that while personal sound amplifiers often help individuals better identify and hear sounds, they do not usually help with the other effects of hearing loss, such as sound distortion. Your loved ones tell you your radio or TV is frequently blaring. You can’t hear individual sounds in busy restaurants or noisy groups. You often shout when speaking to family or friends. You are unable to make out high-pitched sounds. You find yourself straining to hear or decipher voices, music or other sounds. You frequently ask others to repeat themselves during normal conversations. Testing for hearing loss is generally simple and painless, and you can do it at home or in a professional office. However, only a licensed medical provider can diagnose hearing loss. Once your doctor rules out other causes, such as wax buildup or tissue growth, he or she can discuss hearing aid options with you. Tinnitus is the perception of sound when no sound is present. It can manifest as rining in the ears and is the symptom of hearing loss. It is typically the result of age-related hearing loss or an ear injury. The phantom noise ranges from a low roar to hissing or a high squeal, buzzing or ringing. A common hearing loss symptom, tinnitus comes and goes and is not always consistent. Before seeking professional help, you may want to test your hearing in the comfort of your own home. 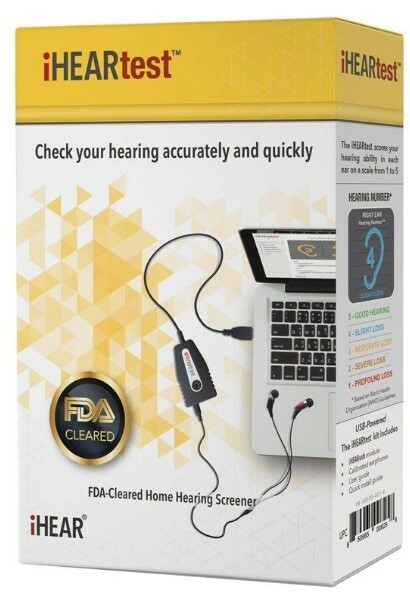 For discreet, accurate results, you have a couple decent options: the iHearTest or Etymotic Home Hearing Test. The iHearTest is the first FDA-approved home hearing test. If you have a computer with an internet connection, you receive a detailed hearing profile after completing this examination. Because the kit accounts for room noise and other environmental conditions, you can take the examination virtually anywhere. Finally, the test ranks hearing abilities on a one to five scale, helping you determine whether you need to invest in a hearing aid or personal sound amplification device. Remember, only a medical professional can diagnose or treat a medical condition. As such, you should not rely solely on the information from your iHearTest or any other over-the-counter device. Many at-home hearing tests use questionnaires or other subjective analyses to determine if an individual isn’t hearing certain sounds. 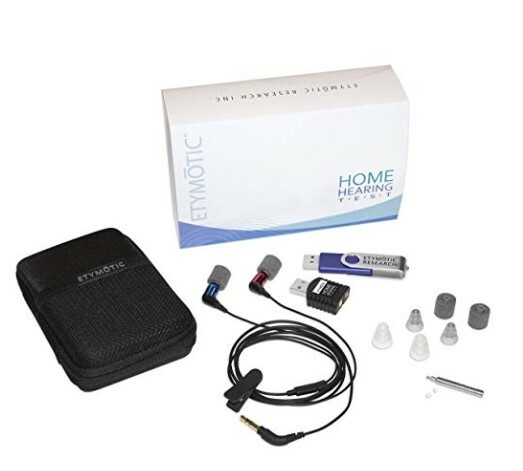 The Etymotic Research ER120-HHT home hearing test relies on the same technology doctors use to diagnose hearing loss. Without ever leaving your home, you know whether you need to schedule an appointment with a sound specialist, medical doctor or audiologist. Hearing aids and personal sound amplifiers are drastically different devices. While both may increase your ability to hear certain sounds, the devices are intended for different uses. 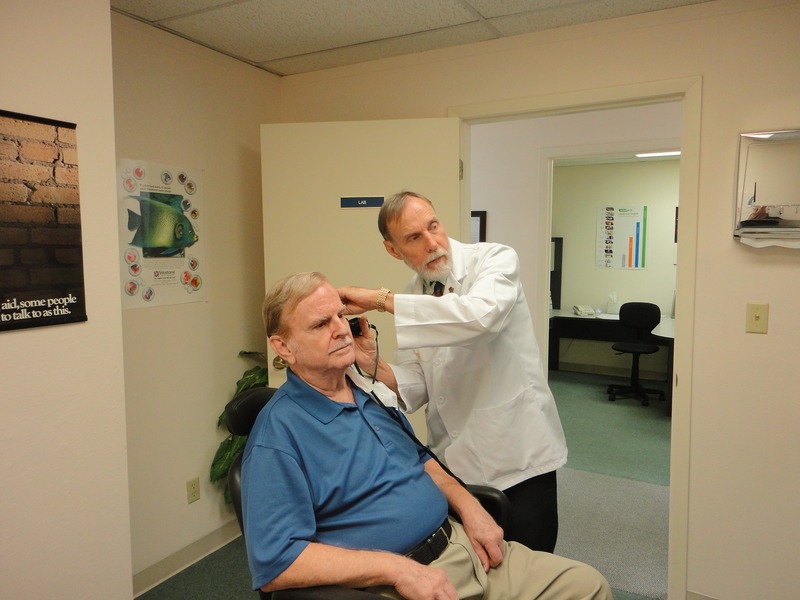 Audiologists use hearing aids to treat hearing loss. That is, hearing aids are appropriate for helping individuals compensate for impaired hearing. By contrast, you may use a sound amplifier to increase the volume of certain sounds in particular settings, but the devices do not treat hearing loss. Personal sound amplifiers often feature a universal fit. By contrast, hearing aids are usually manufactured and calibrated to fit you perfectly. As such, they are often more expensive than sound amplification devices. The Food and Drug Administration’s 2009 guidance on personal sound amplifiers provides consumers with general information about both audiological tools. Hearing aids come in different styles including open-fit hearing aids, digital hearing aids, and behind-the-ear hearing aids. Behind-the-ear (BTE) hearing aids are made up of plastic case and earmold that fits the outer ear. The plastic case that rests on the outside of the ear holds the electronic parts of the device and connects to the earmold which sits inside the ear. The earmold receives sound from the outer piece and sends it into the ear. The open-fit hearing aids are a newer form of behind-the-ear aids. The piece that lies above the ear is smaller which makes the aid much lighter. Lastly, digital aids are smaller devices that fit behind the ear entirely with the extension of a tube that connects into the ear canal. Hearing devices often improve hearing in a variety of listening situations. Hearing aids and sound amplifiers do not, however, usually improve hearing in all situations. 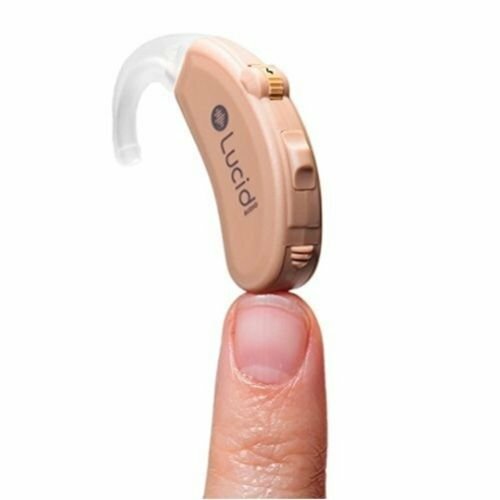 This hearing aid technology is useful for a range of conditions including high-frequency hearing loss and moderate hearing loss. High-frequency hearing loss occurs when the sensory hearing cells die or incur damage. Especially in seniors, this type of hearing loss makes it difficult to understand soft-tones or high-pitched sounds. Similarly, though not as extreme, moderate hearing loss makes it difficult for seniors to hear speech when background noise interrupts. They also may not deliver a normal hearing experience. 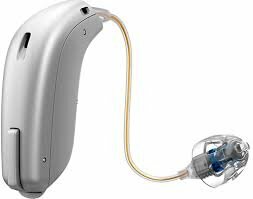 There are many hearing aids and personal sound amplifiers on the market. 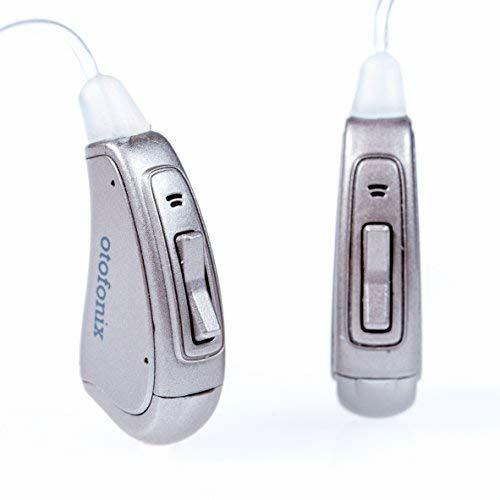 While all have advantages and drawbacks, here are some reviews of the best hearing aids and personal sound amplifiers on the market today. Siemens has been a leader in sound technology for more than 100 years. Now called Signia, this manufacturer makes behind-the ear, receiver-in-the-canal and in-the-ear hearing aids. With several models on the market today, you can choose the one with the technology and pricing that best meets your hearing goals. The latest in the line of Signia hearing aids is the Pure 312 Nx. 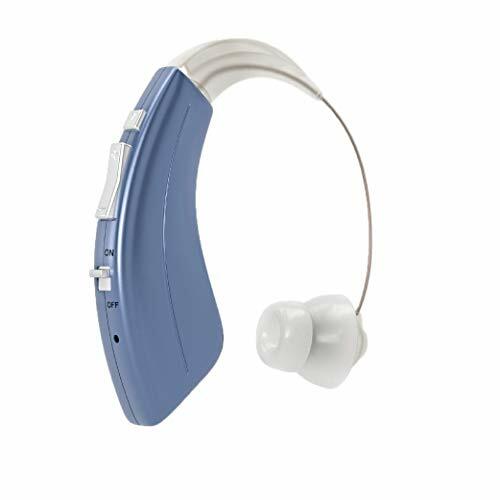 This device is comfortable to wear and delivers clear sound to those experiencing hearing loss. Many hearing aid wearers dislike the sound of their own voices, reporting them to be either artificial or loud. That isn’t the case with Signia Pure 312 Nx hearing aids. Since this hearing aid’s designers tweaked the frequency, the wearer’s voice sounds both natural and moderate. Made to function in a variety of sound settings, the Nx offers dynamic speech understanding even in crowded, loud rooms. As beamforming devices, these Signia hearing aids use directional microphones capable of focusing in different ways. The result is a wearer experience that is hard to match. Signia hearing aids are usually moderately priced. Of course, the earlier models generally sell for less than the later ones. 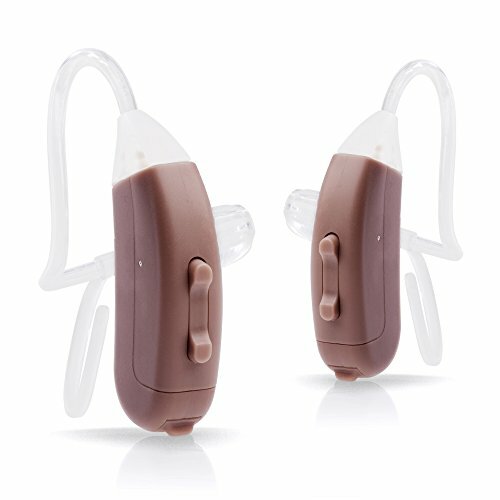 If you want to purchase the top-of-the-line Signia Pure 312 Nx, you should plan to pay around $1,800 per hearing aid. Oticon’s most advanced hearing aid is the Opn. This aid improves hearing from every position around you, often making it ideal for noisy rooms or lively conversations. 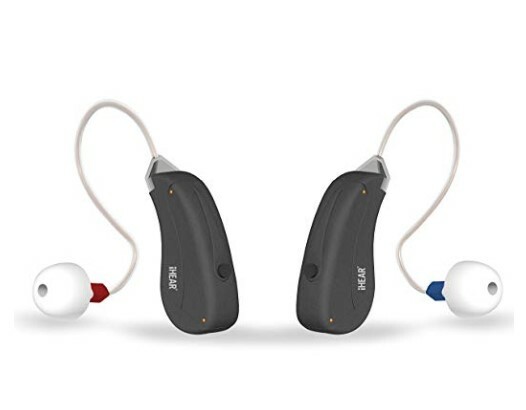 If you have moderate to severe hearing loss, the powerful performance and small size of the Opn will likely interest you. The hearing aid also comes in a variety of colors, making it an excellent option for fashion-conscious wearers. A major feature of the Opn is the fact that it’s rechargeable. Instead of having to buy and replace around 200 batteries each year, you simply recharge the batteries installed in the device. While the hearing aid receives mostly warm reviews from wearers, some report sound interruptions. These distortions, however, seem to be correctible with some calibration. The base Opn models retail for a comparatively low price. High-end devices, though, are usually considerably more expensive, often costing more than $4,000 for a single hearing aid. Still, with the modern technology and comfortable fit of the Oticon Opn, it isn’t hard to see why it is a popular device for many. If size matters to you, the iHEARMAX hearing aid is certainly worth a look. This mini hearing device fits behind your ear. 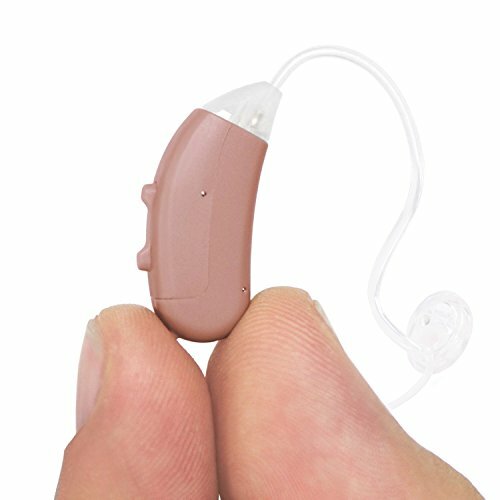 The small design of the hearing aid makes it virtually invisible. With the iHEARMAX, small does not mean ineffective, however. In fact, most users report significant hearing improvement in a variety of settings. The iHEARMAX features four sound profiles with volume control, making it a valid option for treating mild to severe hearing loss. Those who purchase the device usually receive two months of replacement batteries, a one-month supply of ear tips and a limited one-year warranty. To use the iHEARMAX hearing aid, users must purchase customized software to calibrate the device. Wearers of the iHEARMAX report a variety of experiences. While some have problems with sound quality and transmission, most like the size and fit of the device. At around $400, this hearing aid is one of the most affordable on the market. The Otofonix is a hearing amplifier instead of a hearing aid. This device comes in three levels: Apex, Elite and Encore. 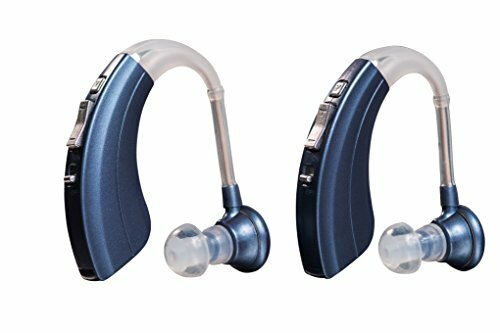 The Encore model has the most advanced technology and is often used by individuals with moderate to severe hearing loss. Unlike hearing aids, the Otofonix hearing amplifier is available without a prescription. Still, its open, comfortable design is FDA-registered. The Encore device also features 10 volume levels, giving you the control you want to hear better in many different hearing settings. Likewise, the user-friendly volume-up and volume-down toggles make using the sound amplifier a breeze. Since the Otofonix is not a hearing aid, it is not intended to treat hearing loss. However, the tool improves hearing for those who no longer hear as well as they would like. As far as personal sound amplifiers go, Otofonix amplifiers receive generally favorable reviews from wearers. The Apex sells for approximately $250, while its Elite counterpart is $100 more. If you want the technology and capabilities of the Encore, expect to pay about $550. Another popular personal sound amplifier is the LifeEar. Designed to fit your ear perfectly, this device is ready to go without assembly or calibration. Since it is available over the counter, you also don’t have to schedule an audiologist appointment prior to purchasing the device. Starting at around $380, the LifeEar is a moderately priced personal sound amplifier. Nonetheless, some models sell for as much as $800, putting them near the high end of the price spectrum. Those who choose to purchase the device have generally positive things to say about it, although some report inconsistent volume control and periodic sound interruptions. Still, negative reviews are mostly few and far between for the LifeEar. The NewEAR hearing amplifier is one of the most affordable personal sound amplifiers available. Often retailing for around $30, this device uses a standard hearing profile to boost hearing ability. It features an easy-to-change volume setup and comfortable fit. A major drawback of the NewEAR is its inability to isolate and contain background noise as effectively as its higher-priced competitors. Also, many wearers find using the device while talking on the telephone to be uncomfortable and awkward. Still, for a hearing boost that won’t break the bank, most who purchase the device report a beneficial sound enhancement when wearing the NewEAR hearing amplifier. Like other personal sound amplifier devices, the Britzgo hearing amplifier isn’t appropriate for anyone who needs treatment for hearing loss. If you are looking for a volume boost in a variety of settings, though, the Britzgo is probably an effective option. This personal sound amplifier uses volume control to increase sound. Often, wearers purchase a set of Britzgo amplifiers to use when they aren’t able to wear their medically prescribed hearing aids. The biggest complaint with Britzgo is uneven sound amplification. For example, a barking dog may seem painfully loud while a normal conversation amplifies marginally. Some wearers also say they hear annoying feedback through the device. However, not all users experience these difficulties. If you are a budget-conscious shopper, the Britzgo is worth considering. At around $100, the Britzgo hearing amplifier is one of the most cost-effective devices for sale. Having to frequently replace dead batteries is one of the most common complaints from users of personal sound amplifiers. The Britzgo digital rechargeable hearing amplifier tackles this problem head-on. Since the device is rechargeable, you don’t have to worry about buying replacement batteries in bulk. Retailing for approximately $75 per sound amplifier, this Britzgo device is mostly user-friendly and comfortable to wear. In fact, most reviewers report excellent sound quality and little irritation. For a good all-around, stress-free sound amplifier, the rechargeable Britzgo is often a good choice. 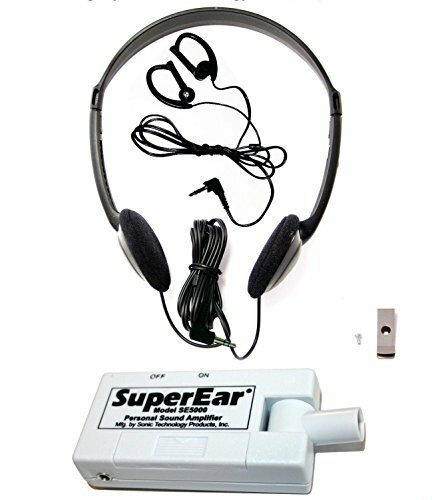 The SuperEar Sonic Ear personal sound amplifier gives you a 50-decibel sound enhancement. That boost is likely enough to help you better understand conversations in noisy rooms or hear the television or radio more clearly. The device does not have recharging capabilities, so you must plan to replace dead batteries after approximately 30 hours of use. Because this sound amplifier increases all ambient noise, some users experience frustration with sound interference. Others report hearing a whistling sound while wearing the Sonic Ear. These complaints, however, are comparatively rare, with most users raving about the performance and comfort of the SuperEar device. Selling for about $50, the Sonic Ear is on the low end of personal sound amplifiers. If you want to increase volume without spending a fortune, this sound amplifier may be right for you. For a sound amplifier that limits background noise while enhancing nearby sounds, the Williams Sound Pocketalker is popular with consumers. This device features a central unit connected by headphones or earbuds. While the unit is larger than other sound amplifiers, it usually fits easily inside the wearer’s pocket or purse. The Pocketalker comes in two models, Ultra and Pro. Both feature heavy-duty construction and comfortable earphones or buds. At around $140, the Williams Sound device is more expensive than other personal sound amplifiers, but many users find the tool’s sound control to be worth the investment. The final tool on this list is the Lucid Audio Enrich Pro Hearing Amplifier. While it appears last, this device is one of the most popular personal sound tools on the market today. That’s for good reason, as the Lucid Audio Enrich Pro delivers enhanced sound without much interference or distortion. It also is comfortable to wear and features long battery life. Most wearers report few problems with the Enrich Pro. Still, some find navigating the device’s controls to be a bit difficult. Others report slight amplification feedback when providing personal sound amplifier reviews. These complaints are exceedingly rare, however, with most users willing to recommend the device to friends and family.The Lucid Audio line of hearing amplifiers sell at a variety of price points. Some retail for under $100, while others cost a few hundred. Keeping your hearing aid or personal sound amplifier clean is important for two reasons. First, clean devices tend to function better and last longer. Also, clean hearing aids and amplifiers tend not to spread bacteria as quickly or effectively as dirty ones. To keep your hearing device tidy, use a soft cloth or brush to remove dust and other debris. If the brush or cloth fails to remove wax and buildup, use a hook to clean holes. Always finish your cleaning project by wiping the entire device with a sanitary cloth. Be careful not to introduce water to the device, as too much moisture can cause performance issues. Every hearing aid or personal sound amplifier wearer should invest in a set of cleaning tools. Most users find a cleaning brush, wax pick, wire loop and multi-tool to be sufficient. Your device may come with tools, or you may have to purchase a set separately. Remember, if you have any questions about proper cleaning methods, talk to your hearing-care professional before you attempt to clean your device. Most hearing aid batteries last between three and 22 days. Battery size, hearing aid type, environmental conditions and other factors affect battery life. If sounds become distorted or volume decreases, you likely need to replace your device’s batteries. Batteries and cases – Carrying extra batteries with you guarantees you won’t be caught with a dead one. Cases keep batteries safe and clean until you are ready to install them in your hearing aid. Wax guard filters – Wax buildup can destroy your hearing aid or decrease its performance. Filters keep wax from causing damage. Hearing aid dryers – Moisture is the enemy of any hearing aid. Dryers help you keep unwanted moisture away from your device. Hearing aid cleaning brushes – A clean hearing aid is a happy hearing aid. The right brushes reach tough spots to keep your hearing aid tidy. Hearing aid domes – A missing hearing aid dome can make the device uncomfortable or unusable. Carrying a few extra domes with you helps you avoid a mishap. 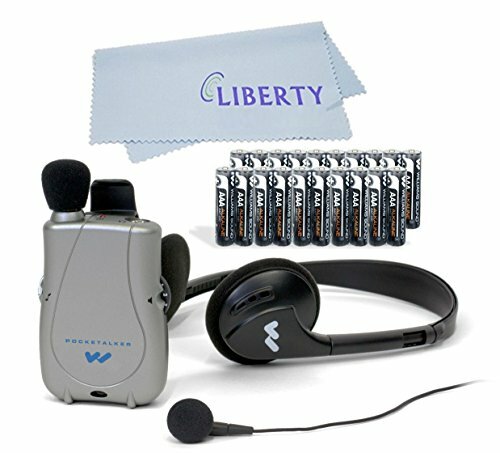 Hearing amplifier cell batteries – Cell batteries are different from other types of hearing aid batteries, but you may need them to power your personal sound amplifier. Check your device’s user manual for more information. 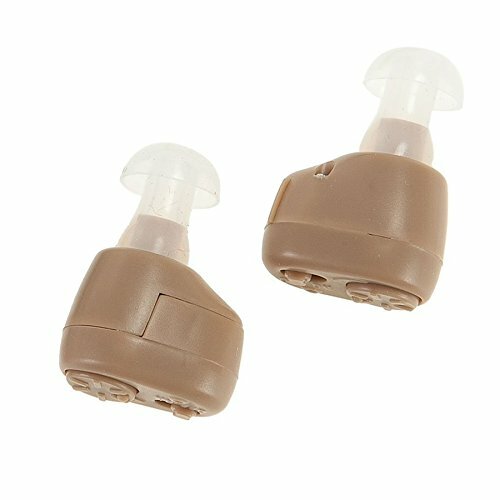 Hearing aid domes – Domes provide a comfortable barrier between your ear and the best personal sound amplifiers. Replace damaged or missing domes with modern upgrades to avoid ear injuries. Noise-cancelling microphone – If you own a Williams Sound Pocketalker, you need the right microphone to eliminate background noise. This aftermarket upgrade helps you get more out of your Pocketalker. If you no longer hear as well as you would like, purchasing a hearing aid or personal sound amplifier may be right for you. Before deciding on a device, talk to a medical professional about your hearing concerns. 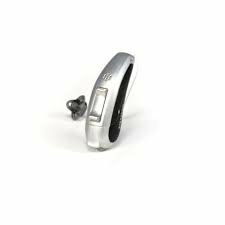 Then, endeavor to understand the advantages and drawbacks of all devices by reading through hearing aid reviews to make an informed purchase. 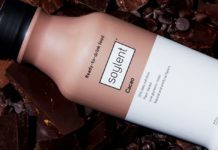 Previous articleGarden of Life Raw Organic Meal Replacement Review – Is It Healthy?